HANGAR 46 has provided airplane parts since 1989 at the San Luis Obispo County Airport. 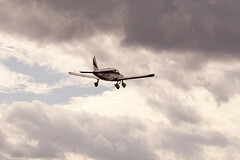 We have spare aircraft parts for Cessnas, Mooneys, as well as other manufacturers. If you are looking for an aircraft parts supplier, look no further.